My family loves these green smoothies, we actually call them leprechaun smoothies because of the pretty bright green color. 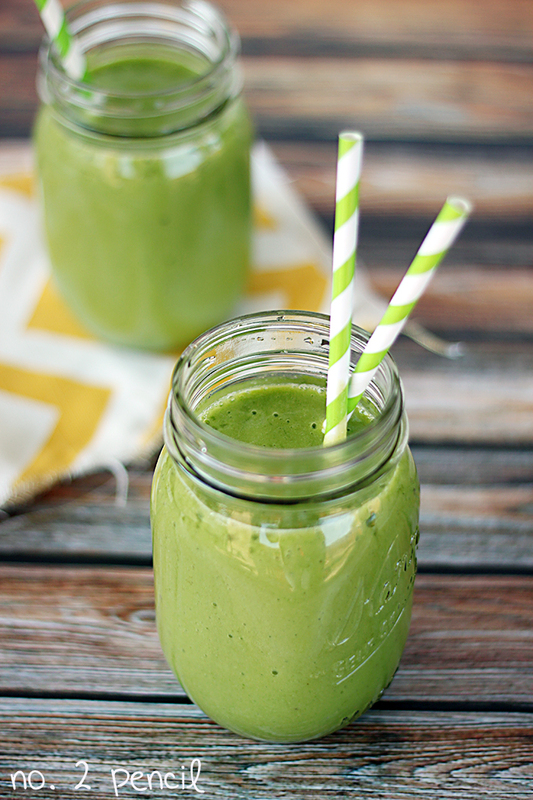 These green smoothies are packed with spinach, but taste just like a fresh fruit smoothie. 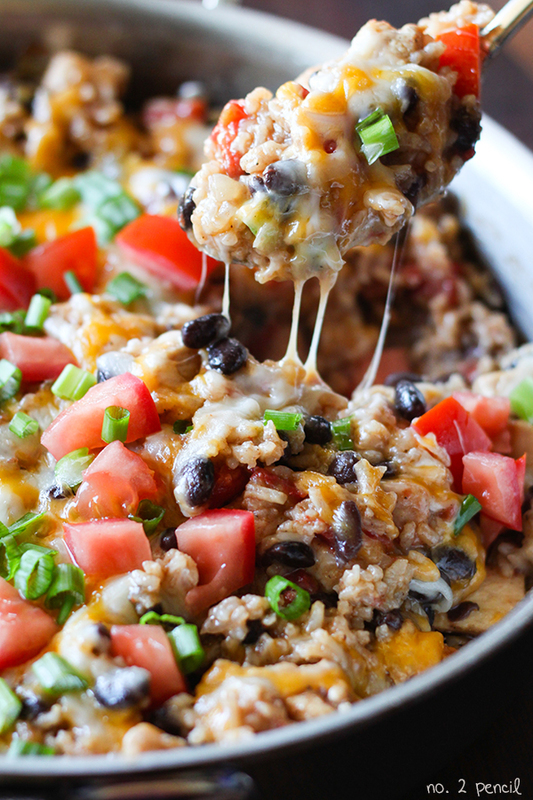 This is a great way to sneak in some veggies for those picky eaters! I am newly in love with the green smoothie. This is a great version! 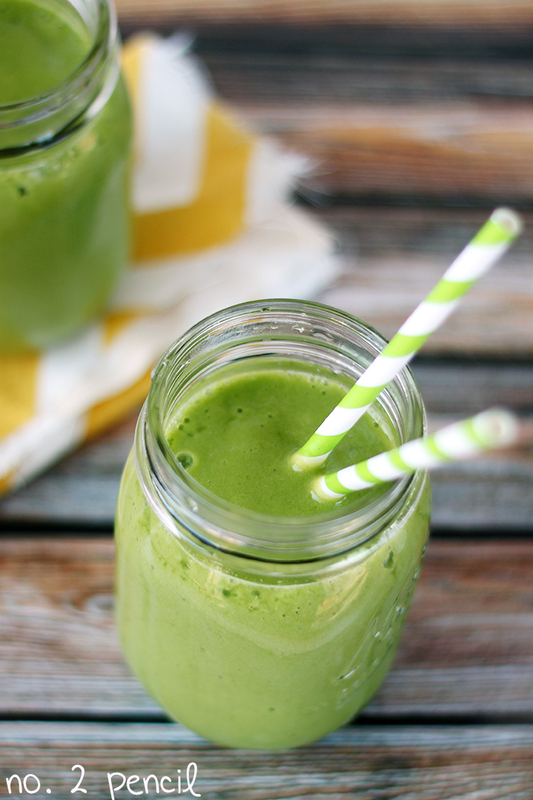 I love the idea of using juice in green smoothies. I recently posted a recipe for one with almond milk, this one sounds so nice and refreshing! mmm love me a good green smoothie! I also freeze the bananas which keeps the smoothie cold (the way I like it). I also modded this recipe with 1 cup kale and 1 cup spinach. Great recipe!